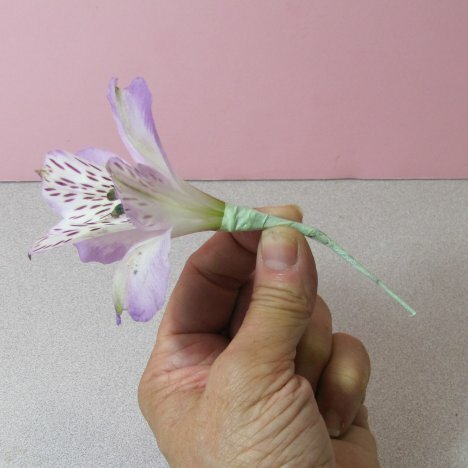 Wiring alstromeria for this wedding boutonniere will make a stronger stem support since it's own stem is pretty fragile. 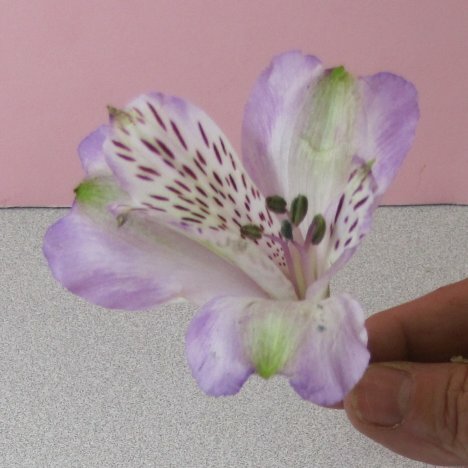 Alstromeria is available all year round and comes in a lot of different colors, including pink, lavender, yellow, white, green and multi-colored. 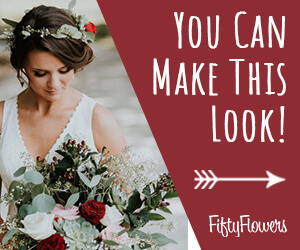 It is a versatile flower that holds up well in both boutonnieres and corsage work. 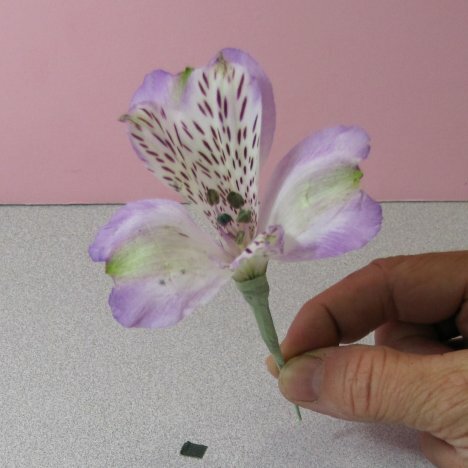 Note the light green in the flower head that I matched with the florist tape. 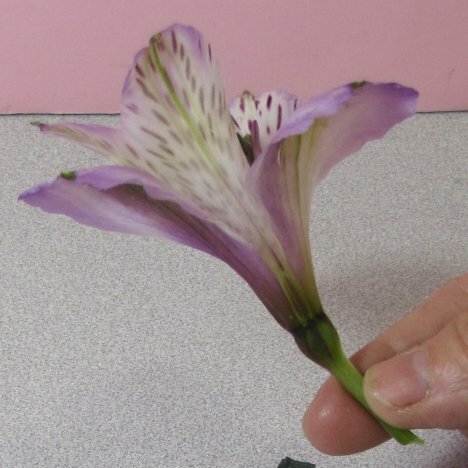 As you can see from the side, an alstroemeria caylex bulb is much smaller and fragile when compared to roses or carnations. 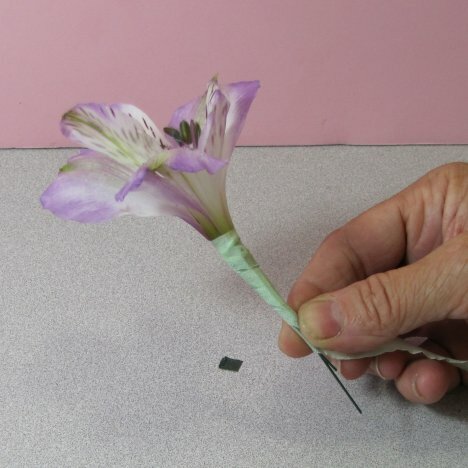 You will need only one wire instead of two like previously. 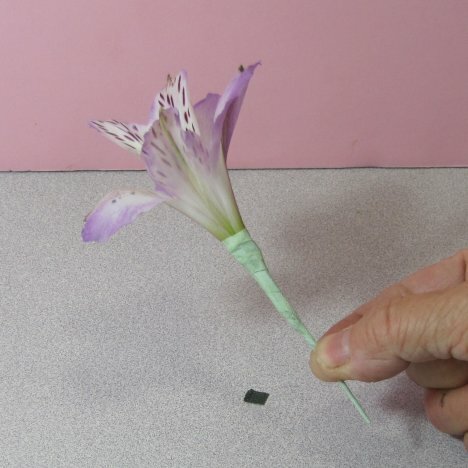 Carefully pierce the bulb from the side and slide it through so both wire ends are equal. 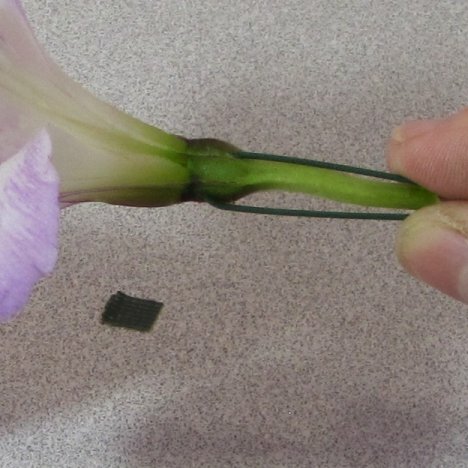 There really isn't room for a second wire stem without degrading the bulb and possibly crushing it. 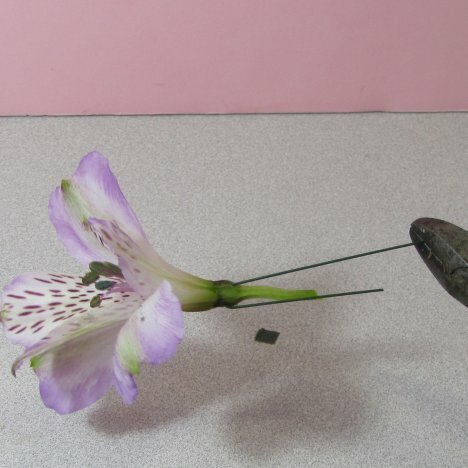 Be careful as you bend the wire down not to tear the flower stem in two. 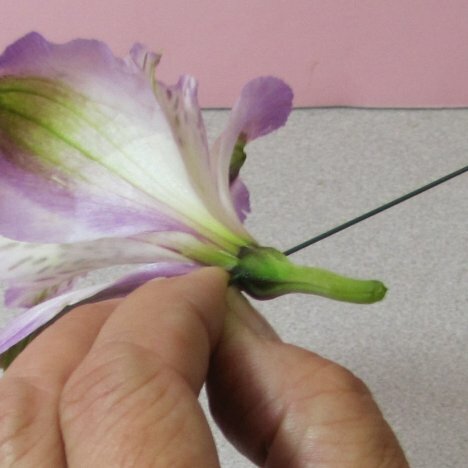 Gently bend the wires down both sides until parallel with the flower's natural stem. 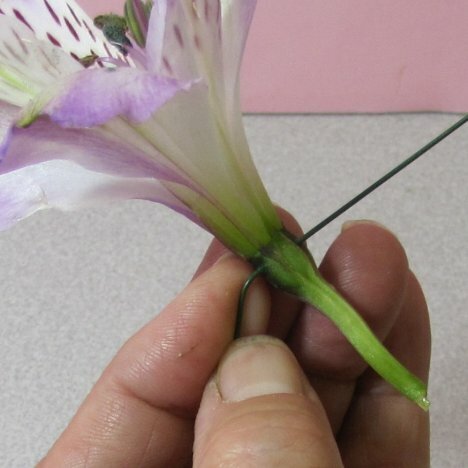 Snip the wires off until they are no longer than 2 - 3 inches below the flower head. 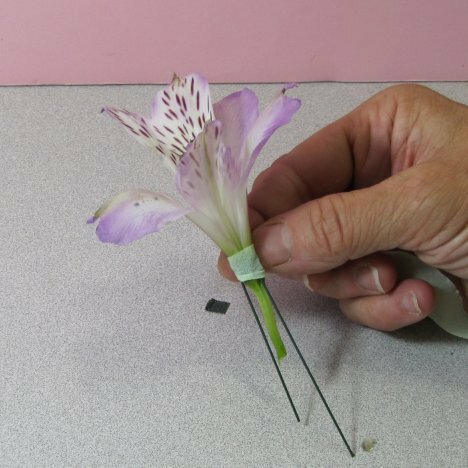 Keep in mind when you make an alstroemeria boutonniere that the florist tape is started high, right around the bulb of the flower. 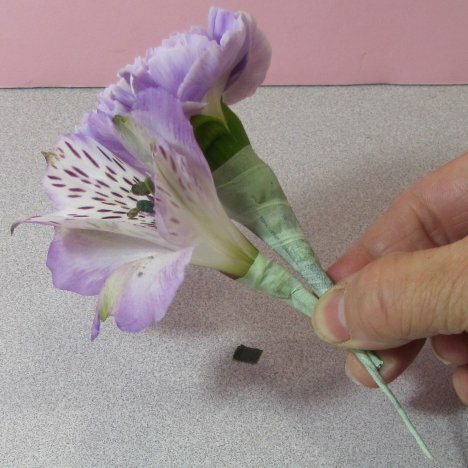 Pull the tape gently at first, the pull a little tighter so the tape stretches and adheres to itself. 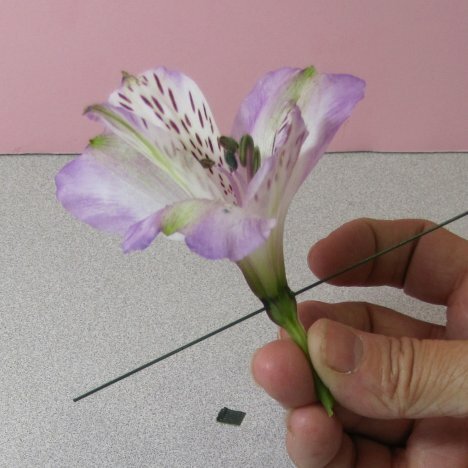 Notice that the carnation head in the photo below is facing straight up, and that the alstroemeria has been bent slightly to the left so it can tuck under the carnation head.